SoftPlanet makes it possible for everyone to get free PrivaZer download directly from our servers. There is no registration needed for downloading. 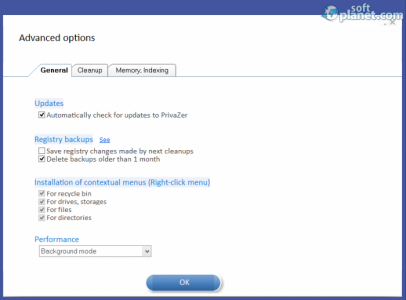 PrivaZer Portable 2.22 is a great application, which works as PC cleaner and privacy utility. It will find and remove all unwanted traces. Thus you will get the initial performance of your PC and it will run as new. This particular version of the software is 100% portable, so it doesn't require any installation. You simply download and run it. PrivaZer Portable v.2.22 automatically recognizes your primary storage device type and adapts its overwriting algorithms to the storage medium (magnetic disk, SSD and so on). This app will prevent recovery of your activities as well. Thus you will privacy will remain untouched. PrivaZer comes with a very intuitive interface, which doesn't look like any other PC cleaner. Thus you will definitely recognize it even at a glance. 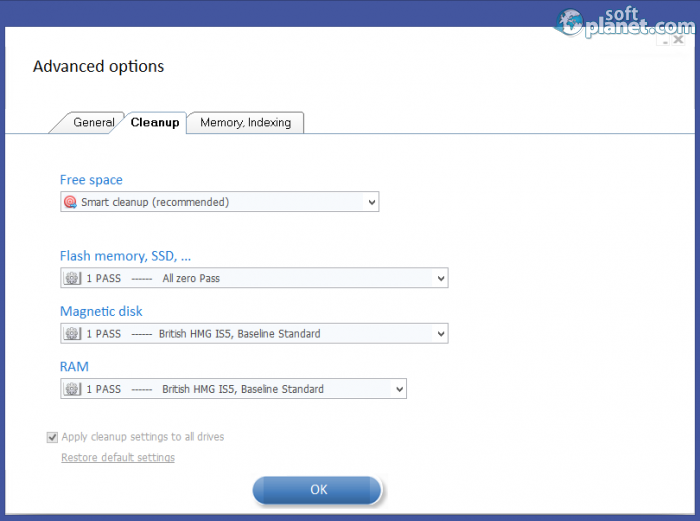 PrivaZer Portable is a great solution for those of you, who needs such a PC cleaning tool for multiple computers, but you don't want to install it on each one separately. With this software release you simply put it on a thumb drive and you are ready to run it on any PC. Please feel free to share your observations with us. Our security scan shows that PrivaZer is clean from viruses. The current version of PrivaZer has been scanned by our system, which contains 46 different anti-virus algorithms. That ensures that PrivaZer Portable 2.22 is 100% safe for your computer.